Exploring a generation never knowing of a time without mobile phones, Eighth Grade captures what it means to grow up today through the eyes of Kayla (Elsie Fisher), a thirteen-year-old girl who is one week away from starting high school. Puberty is the main antagonist in Eighth Grade, which is all the more an adversary for Kayla who is prone to bouts of anxiety and panic attacks. For those whose teenage years predate social media, the experience of watching Eighth Grade is eye-opening, providing an honest look at Gen Z culture. Kayla’s experiences as a teenager, whether it be building relationships at home or at school sees her go through many emotions, with her feelings of nervousness, excitement and desire felt throughout the tone of the film to great narrative impact. Kayla, who does not perceive herself the way others do, presents a desired version of herself online to not only help others experiencing troubles fitting in but also to build her confidence. Advice shared by Kayla on her YouTube channel parallels the events occurring in her life and how she will approach them, with some of the brave attempts by Kayla to follow these affirmations being successful, others not, and her acts of kindness often not reciprocated by those she wishes to befriend. While exploring the routine tropes bound in teenage films, the obsession with broadcast culture combined with the realistic look-and-feel makes Eighth Grade compelling, distinguishing it from becoming a superficial teenage drama. Kayla’s journey into adulthood and perseverance is very much the story, with Kayla, though having an interest in boys (her uncontrollable fascination for a certain boy being personified with music, spectacularly), is not defined by them nor is she boy-crazy. Burnham’s ability to intertwine cringe-worthy humour into the screenplay is of benefit to the story, working intelligently on multiple levels to exacerbate embarrassing moments, show how casual characters react to inappropriate situations (school shooting drills are something to behold) and also to make note of the disconnect between the school system and teenagers, particularly the under-representation of education on mental illness. Fisher’s performance is revelatory thanks to her ability to portray Kayla’s optimism with exceptional levels of honesty, vulnerability and likeability. Kayla maintains a strong sense of self throughout the film with her goal to be liberated from worries, if not, self-respected, build up to the realisation that she deserves more. 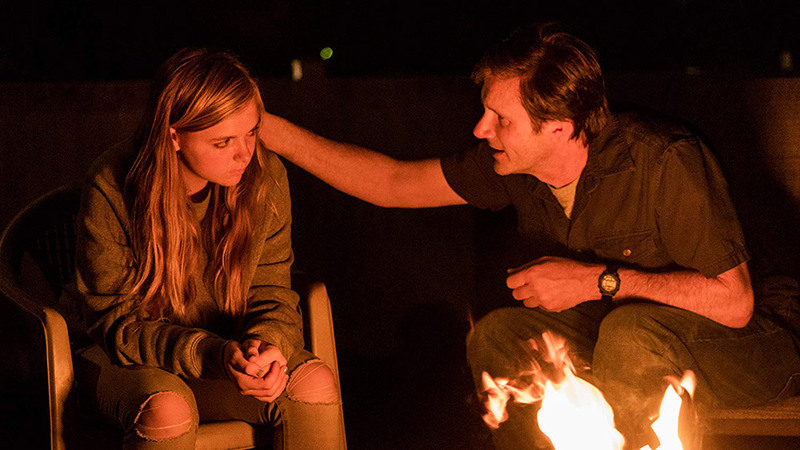 Kayla’s father Mark (Josh Hamilton), who is very loving and admiring of her despite struggling to build a relationship due to her social media dependence, delivers a touching performance as somewhat of a magical father figure to her (reminiscent of Michael Stuhlbarg’s performance in Call Me By Your Name (2017)). His ability to mend Kayla by saying the right thing when needed seems convenient for forwarding the plot which results in a mildly distorted tone in the later parts of the film. Though very sweet in its approach, the film will be an experience for some as it is unafraid to shy away from confronting themes that may give parents nightmares. As was the case of Kayla moving into high-school, so too has the teen-film sub-genre matured in 2018, with teenage films addressing sexuality, race, and now mental illness, indicating great promise for the future of the genre outside of the usual teen-romance fanfare. Stunning performances and excellent direction aside, Eighth Grade is relevant and intimate filmmaking that all high school students, and their parents, should watch. At a screening in San Francisco, director Bo Burnham said he originally intended for all the young characters to communicate with one another over Facebook. When his star, Elsie Fisher, saw his script, however, she said, “No one uses Facebook.” He then made that a line in the movie and had the characters use Instagram and Snapchat instead.